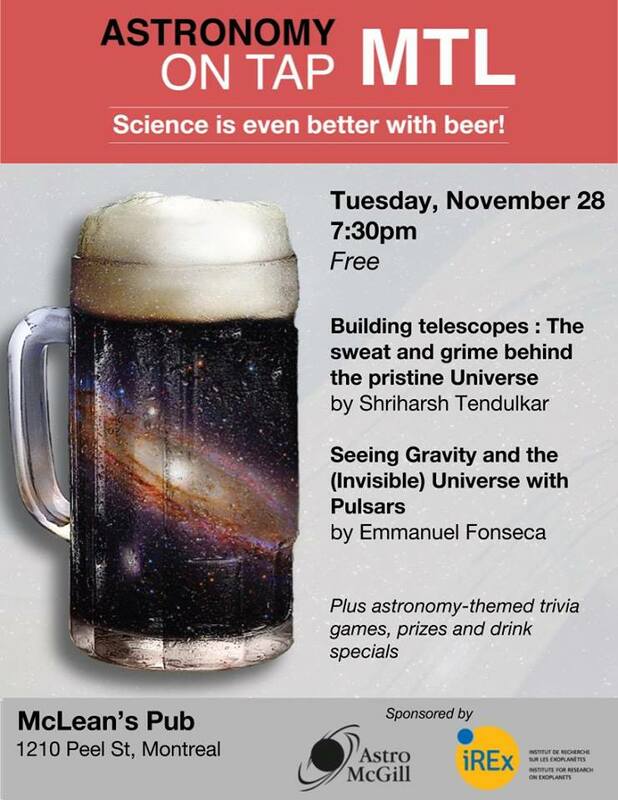 On November 28, Montreal city in Quebec, Canada, will have Astronomy on Tap #9, a free event sponsored by AstroMcGill and the Institute for Research on Exoplanets at McLean’s Pub. We will learn about building telescopes and studying gravity with pulsars. Join us and play some astronomy-themed games with prizes for the winners! Many astronomers will be presents, come discuss with us and do not hesitate to come with your science questions! Cet évènement AoT sera en anglais !